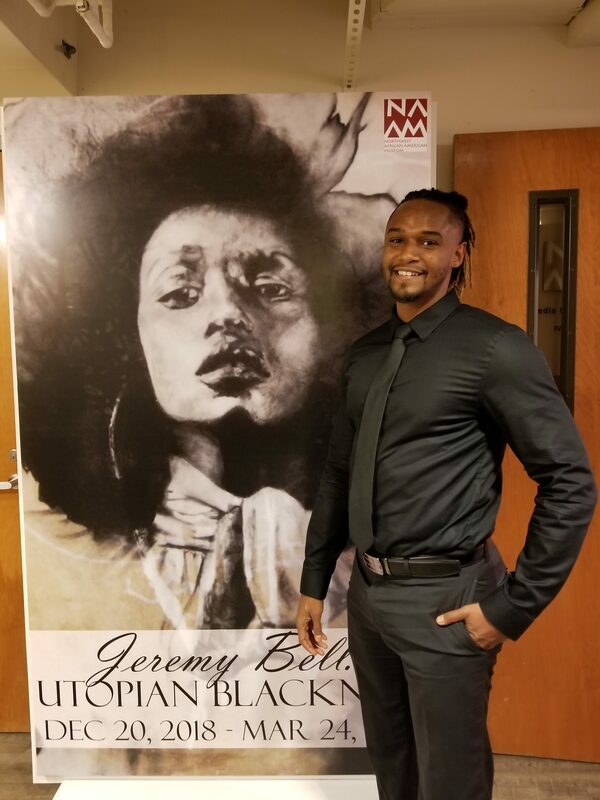 The NW African American Museum (NAAM) in Seattle’s Central District is proud to hold a three month solo show for WSHS Alum Jeremy Bell. 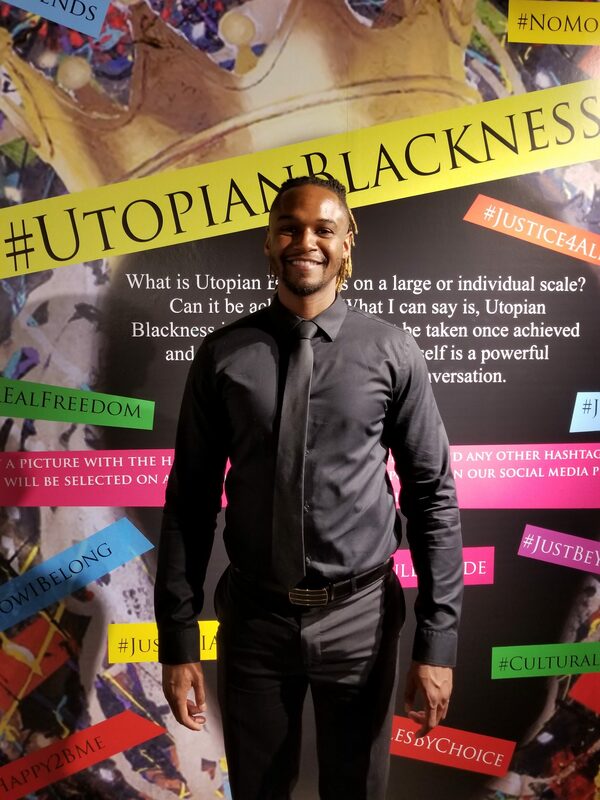 The show ‘Utopian Blackness’ opened Dec 20th 2018 and runs through March 24th 2019. A museum show is a huge accomplishment for any artist, but especially so for a younger artist, so early in their career. Such early recognition speaks well for the trajectory of this artist’s incredible talents. Jeremy Bell grew up in West Seattle attending Gatewood Elementary, Madison Middle School, and then West Seattle High School for his freshman year before moving to Lancaster California and graduating from Desert Christian High School in 2004. Bell next graduated with a Bachelor of Fine Arts in painting and drawing from the University of Tampa and then went on to receive a Master of Fine Arts at Montclair State University in New Jersey. The award-winning artist is currently a civil employee for the Army Corps of Engineers in Omaha. His work includes graphic design, photography, videography and audio-visual support. Jeremy has been represented by local gallery Alki Arts in Seattle since the summer of 2011. Always loyal to his ‘home town roots’, Jeremy considers himself a West Seattleite at heart!